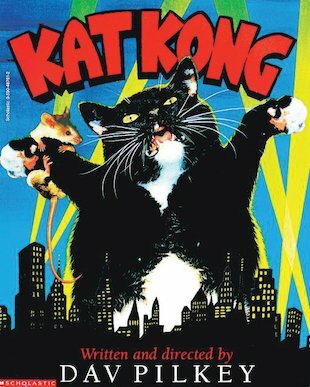 On a remote island, Doctor Varmint and his beautiful assistant, Rosie Rodent, find and capture a stunning scientific discovery: the massive, mighty Kat Kong! But when this gigantic kitty breaks free from his shackles and tears through the streets of Mousopolis, there’s no stopping his terrifying rampage. Is anyone clever enough to halt this meowing menace? Told in hilarious photographic picture panels, this is a brilliant spoof of the King Kong story from the creator of Captain Underpants!